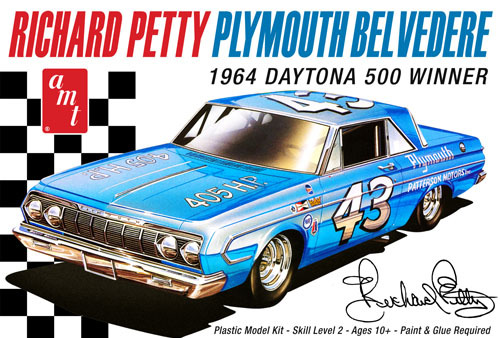 AMT® presents Joe Gardner’s 1962 Chevy® Bel Air® “North wind” Super Stock drag racer as a deluxe 2-in-1 kit! To commemorate the 50th anniversary of Ford?s Mustang, AMT is reintroducing its super-detailed 1/16th scale 1965 Hardtop. 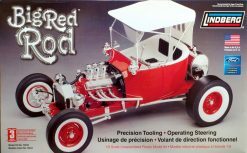 With many features including opening doors and hood, folding seats and vinyl tubing to emulate wiring and hoses for the motor, this model builds into an authentic replica in a grand scale! The airship Hindenburg LZ 129 serviced affluent clientele with relatively quick service across the Atlantic until its last disastrous approach to a New Jersey airfield where it burst into flames and losing 35 souls in the tragedy. The Hindenburg became an indelible icon of lighter-than-air flight. AMT’s Pro Street Chevelle® is as much at home on the strip as it is on the street. 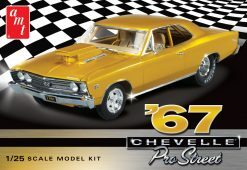 With motor intake, hood scoop and tire options, this super-detailed kit will satisfy any Pro Street or drag racing enthusiast! 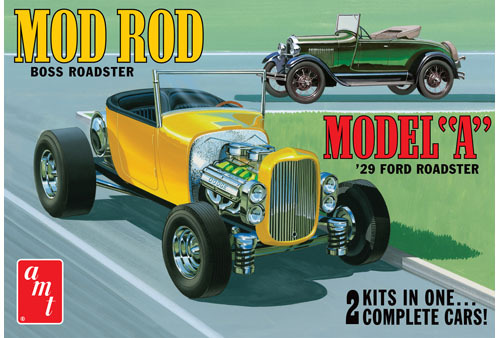 AMT's Scale Stars represents a fine series of vintage 1/32 glue-assembly kits. They are great for beginners but will build into nicely detailed models that seasoned veterans will enjoy too. 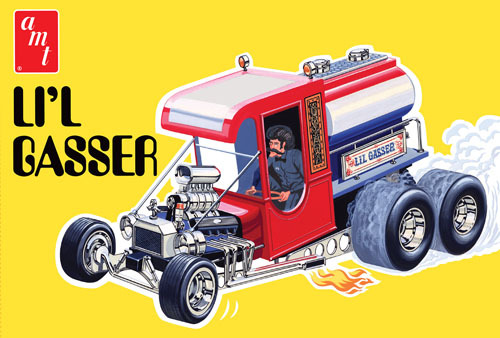 The bodies and related parts are also great for converting into 1/32 electric slot cars! 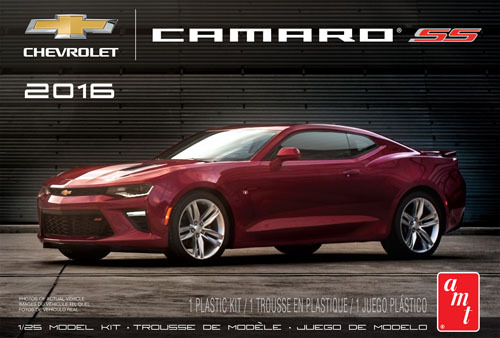 The world watched as the 2009 Indy 500 race was lead into action by Chevrolet’s upcoming 2010 Camaro. AMT’s Showroom Replicas kit features a simplified “curbside” style format with a reduced parts count for fast and easy assembly. Perfect parts fit makes it suitable for modelers of all skill levels! The Kats at AMT have retooled the missing parts necessary to resurrect the CheZooom Corvair funny car! 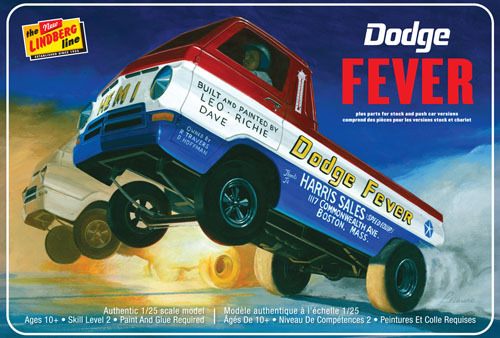 The Chevy Corvair with it’s rear-mounted and air-cooled engine has quite a history. 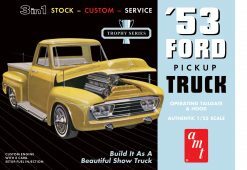 AMT presents the 1969 model year in a Retro Deluxe edition, featuring many optional parts for customizing or creating a competition coupe! With its irresistible vintage packaging, it’s a classic 3-in-1 kit, only from the Kats at AMT. Contains all Aztec decals to fully decorate the brand new U.S.S Reliant 1:1000 scale model kit. Some paint is still required for 100% accuracy. Includes several alternative registry markings for other Miranda-class star ships. 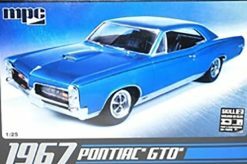 By 1967, nearly every American car manufacturer had a competitor to Pontiac’s GTO in their lineup. 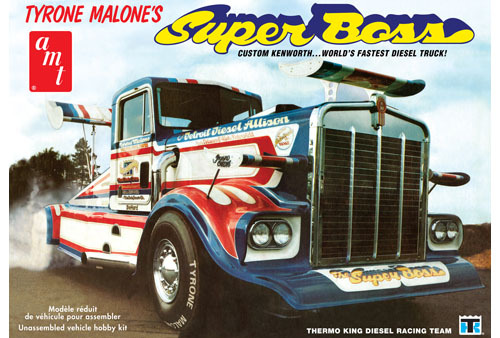 The “Tiger” became the “Great One” for 1967. MPC’s scale kit replica of this classic muscle car features a 400 cu.